The Smoky Mountains of eastern Tennessee are home to many colorful mountain culture traditions, from music and dance to food and song. But perhaps the most iconic of these is the distillation of potent spirits in home-made copper-pot stills. You can witness this age-old process on the Tennessee Whiskey Trail. This once widely illegal tradition is now being embraced by the state, which has created the “Tennessee Whiskey” appellation and relaxed legislation that has encouraged growing numbers of new distilleries to appear alongside much older, well-known brands. Most of these distilleries are concentrated in a geographic area that make it ideal for a day trip, where you can observe the fascinating process of making Tennessee whiskey close up–and sample some, too. The Origins of Whiskey-Making in the U.S. The distillation of whiskey in the United States traces its roots to the early Scotch-Irish immigrants, who brought their family recipes for fermentation of grains to the New World in the 18th century. They carried on their tradition of whiskey making where they settled, predominantly in the Appalachian highlands and in the Smoky Mountain region of eastern Tennessee, where in its un-aged, high-proof form is called moonshine. Moonshine is traditionally clear with a hint of corn. It is perfect for sipping or using as a substitute in cocktails. There are different varieties of moonshine, depending on the distillation process and number of times the spirit runs through the still. Moonshine is typically made with corn mash as the main ingredient. With the advent of Prohibition during the 1920s, the whiskey distillation culture of Eastern Tennessee and the Appalachian region was almost snuffed out as tens of thousands of moonshine stills were destroyed. But the mountain culture in these parts runs deep, and not only has the tradition survived, but is thriving once again, especially after a state ban that prohibited the sale of alcohol in all but three of Tennessee’s 95 counties was finally reversed in 2009. That ruling added an additional 41 counties where whiskey distillers could legally operate. Relatively few brands of Tennessee whiskey survive today–including the well-known Jack Daniels and George Dickel–but due to the recently revised legislation, a number of small craft distillers producing Tennessee whiskey have been established, which are in turn creating a whole new generation of Tennessee whiskey enthusiasts. “Tennessee Whiskey” or “Whiskey Made in Tennessee”? There is a great amount of dissent among Tennessee whiskey distillers about the requirements that would allow them to use the appellation. Many feel the regulations limit variations in flavor and color that set their recipes apart from the Lincoln County process, which they argue would make their product taste like Jack Daniels instead of their own unique distilled spirit. a super-smooth, aged spirit whiskey. Also located in downtown Gatlinburg, Sugarlands offers visitors tours of their barnhouse distillery, live music, a tasting room and gift shop. Their line of shine offers a myriad of flavors (including butterscotch), as well as their classic Silver Cloud and Jim Tom’s Signature Unaged Rye. They still follow the same family recipe for Doc’s corn and sugar shine as they did 100 years ago, but now they sell it at the family mercantile store in downtown Gatlinburg. Old Forge entered the market with their flagship moonshine called 1830 Original, a part of what will become their hand-forged Heritage Moonshine line. The Heritage Moonshine collection will be rounded out with both grain-forward and traditional flavored shines. This remote distillery is making authentic, small-batch, Tennessee Moonshine, Bourbon and Tennessee Whiskey from corn grown and stone-milled on a 300-acre working farm in Cannon County, Tennessee. Their still house is open for free tastings and tours, where you can learn more about the local history and heritage of whiskey making. Makers of Roberson’s Tennessee Mellomoon and various flavors, including award-winning Caramel and unique Honey-Ginseng. Stop by for a visit and see a magnificent example of making moonshine first hand. The second longest-running distillery in the State. 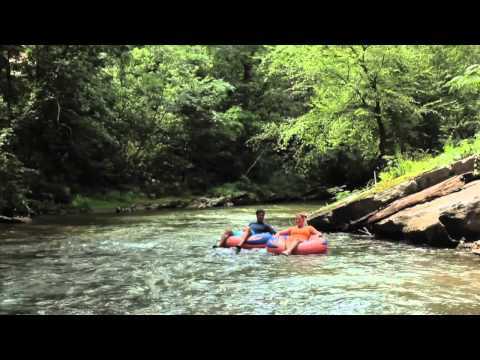 Nestled in beautiful Cascade Hollow, George Dickel offers a No. 1, No. 8, No.12, Barrel Select, Hand Select, and Rye varietals hand-crafted by a team of 25 distillers, who you can observe on a tour of the grounds. Makers of the world’s top-selling whiskey. Offering daily tasting tours that set the bar of informative and entertaining. Purchase a bottle of your favorite whiskey at the White Rabbit Bottle Shop and have it engraved on site. Opened by Phil Prichard in 1997, Prichard’s has long been synonymous with premium Rums and stellar whiskies. Their varieties span the spectrum of flavor profiles, and you’re sure to find one you love. If you are planning a tour of the Tennessee Whiskey Trail, be sure to assign a designated driver who won’t be participating in tastings; they can enjoy Tennessee’s finest whiskeys once you have safely returned to your Bluegreen resort.